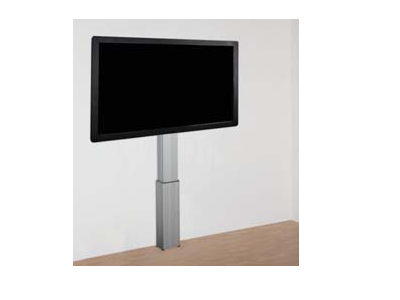 Electric Height adjustable column for wall mounting any Ctouch interactive screen from 46" up to 70". The wall mount features a 500mm lift stroke and four floor levelling feet to ensure a perfect installation. Optionally available is a stationary 5mm floor plate for mounting to stud walls. Ideal for classroom scenarios where the screen can be owered for access to wheelchair users and small children.